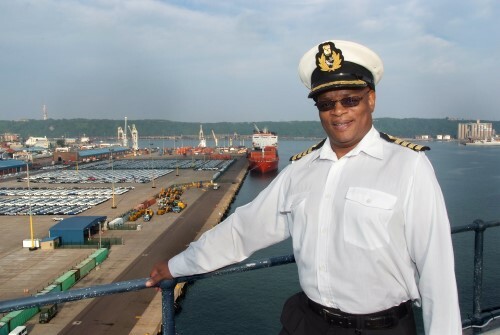 Transnet Chief Harbour Master Captain Rufus Lekala has been reinstated to his post after being suspended for the past 17 months. We have learned that he is already back in his position but Captain Naresh Sewnath, the acting chief harbour master during this long period when Lekala was unavailable, is remaining as acting chief harbour master until the end of the year to give Captain Lekala time to bring himself up to speed with current affairs at the ports. 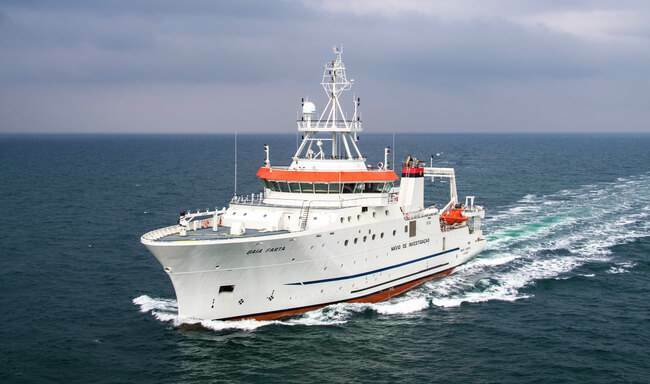 A 74-metre fishery research vessel BAIA FARTA (IMO 9813474) has been provisionally handed over to the Angolan Ministry of Fisheries by the builder Damen and is to set sail for Angola next month (November) where the final delivery formalities will take place. 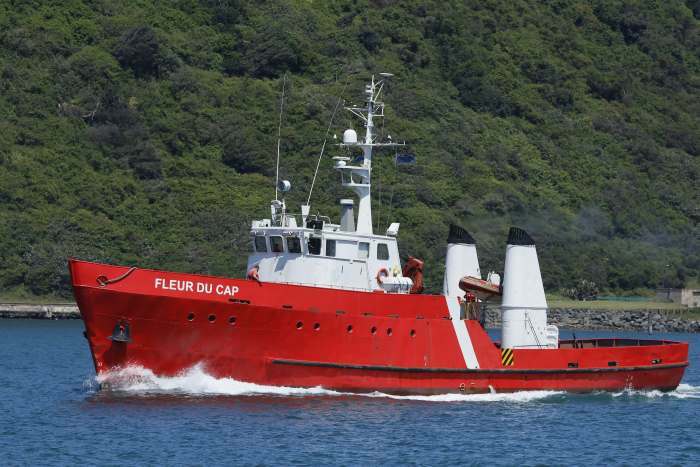 Baia Farta is a Damen FRV 7417 type vessel that was ordered in July 2016 and launched in November 2017 at Damen’s Galati Shipyard. Huge container ships bring increased liabilities. The bigger the container ship, the bigger the fire risk as most of the containers are completely inaccessible by the ever-shrinking crew on board. The latest container vessels have capacities in excess of 22,000 containers. All parties in the logistics chain must re-assess their exposure to claims for damage to ships and other cargo, says master mariner and director, Malcolm Hartwell – even goods that are not defined as ‘hazardous’ by the International Maritime Dangerous Goods Code. This will ensure they have appropriate insurance and precautions in place. In a recent US court judgment, the shipper and tanktainer operator were liable. Modern container ships carry thousands of containers and it would be unreasonable to expect that the ship owner could undertake research on any particular container or its contents. 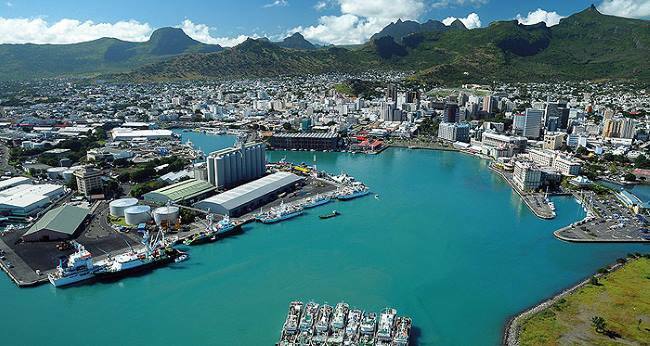 The local market has been hit by claims for lost and damaged cargo as a result of at least three major ship fires caused by spontaneous combustion from calcium hypochlorite. This US judgment is a reminder that the ship and cargo owners can successfully proceed against the shippers of cargo that cause a fire. A recent decision out of a New York Court holding a chemical company and tank container operator strictly liable for the cost of repairs to a large container ship and the loss of most of its cargo highlights the significant increase in liabilities caused by the introduction of huge container ships. This exposure affects everybody involved in the international transport of cargo that can cause harm to other cargo or the ship, including shippers, receivers, freight forwarders, container operators and their liability insurers. A disastrous fire took place on the mv MSC Flaminia in 2012 – a 300 metre long modern container vessel capable of carrying almost 7000 containers. Bound from New Orleans to Antwerp, an explosion and subsequent fire took place in a container of divinylbenze which had spontaneously combusted. 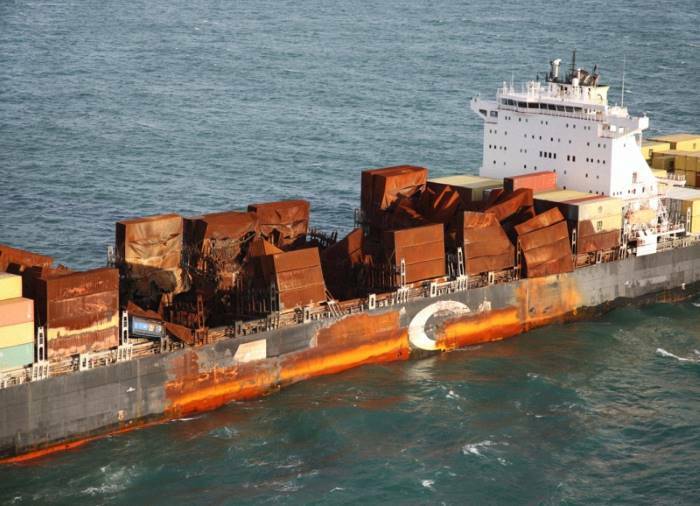 Three crew members were killed, thousands of cargo containers were destroyed and the vessel was seriously damaged. Claims of around US$700 million are being advanced by various interests. Amongst these are claims for lost and damaged cargo against MSC. 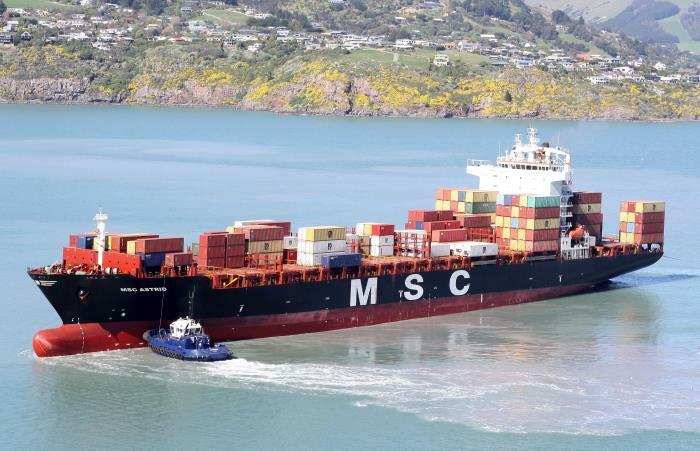 MSC, in turn, sought an indemnity from the shippers and receivers of the cargo that caused the fire as well as the operators of the tanktainer (tank container) that the cargo was carried in. In finding the shipper of the cargo and the tanktainer operator strictly liable, this court adopted a similar approach as that in the common law countries. Under the Hague-Visby Rules applicable in terms of the contract of carriage, the shipper was held strictly liable for damage to the ship by “goods of inflammable, explosive or dangerous nature”. This does not mean that the goods have necessarily to be hazardous goods as defined by the International Maritime Dangerous Goods Code. They merely have to be goods of the type described which either actually caused physical damage or which posed a threat of physical damage to the ship or to other cargo on board the ship. The court held that MSC had not been proved to be in breach of its obligations to provide a seaworthy ship. It held that, provided the shipowner complied with its obligations under the Hague-Visby Rules, it would be entitled to rely on the protection offered by those Rules in relation to goods of a dangerous nature. 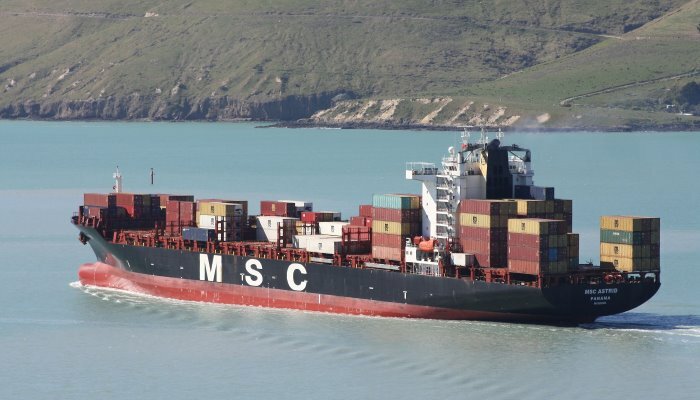 If MSC had in fact breached this obligation it would not have been entitled to rely on contractual claims against the shipper and tanktainer operator. MSC was entitled to rely on information given to it by the shipper and tanktainer operator on the characteristics and dangers of all cargoes accepted for shipment. The latter two were found to have ignored the fact that this product was particularly prone to spontaneous combustion if it was stored at a high temperature. In this case the tanks had been filled and left in the New Orleans summer sun for several days before the ship arrived. One of the factors that persuaded the court to find the shipper and tanktainer operator liable was the fact that modern container ships carry thousands of containers and it would be unreasonable to expect that the shipowner could undertake research on any particular container or its contents. 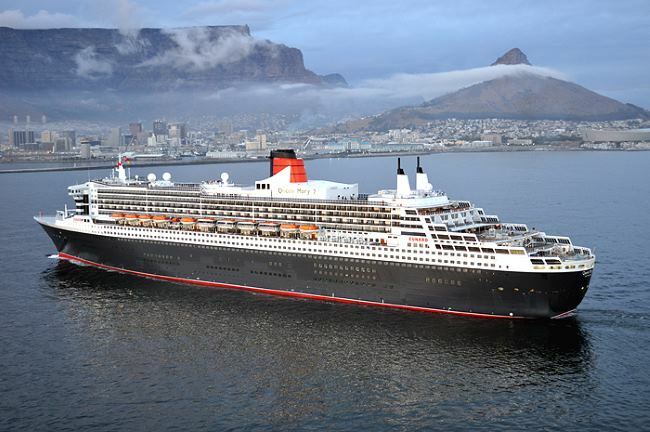 The South African market has been hit by claims for lost and damaged cargo as a result of at least three major ship fires caused by spontaneous combustion from calcium hypochlorite. The MSC case and its common law cousins are a reminder that the ship and cargo owners can successfully proceed against the shippers of cargo that cause a fire. This may not be a real risk to small traders with no assets but constitutes a definite risk to multi-nationals with assets that can be proceeded against by claimants. 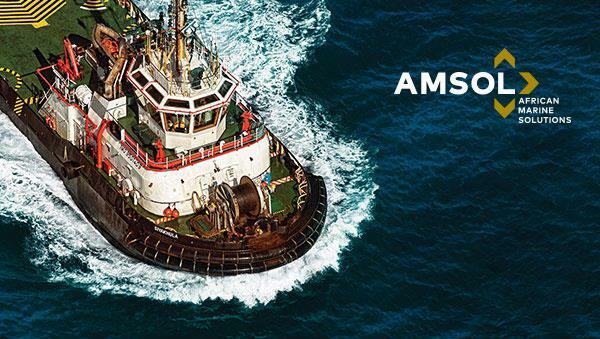 The case is also a reminder to those large companies that routinely ship cargoes that have the potential to be hazardous to ensure that they have appropriate liability insurance and risk avoidance practices in place. The Institute Cargo Clauses A which cover the vast majority of cargo transported by sea do not cover liabilities arising out of damage caused by the cargo to the ship or other cargo. Even if liabilities fell within the risks covered section of the policy, liability would be excluded by the general exclusions including the fact that a loss of the nature to the mv MSC Flaminia and her cargo was caused by an inherent vice or nature of the subject matter insured. It might also be hit by the general exclusion for loss or damage caused by unsuitability of packing or preparation of the subject matter insured. The mv MSC Flaminia, although a huge vessel by the standards of 2012, is now dwarfed by the latest container vessels with capacities in excess of 22,000 containers. This exponential growth in container ship size has increased the risk of catastrophic fire given that most of the containers are completely inaccessible by the ever decreasing number of crew on board the vessel. The growth has also exponentially increased the potential liability of anyone whose cargo causes a ship’s fire. All parties involved in the logistics chain need to re-assess their exposure to claims for damage to ships and other cargoes and to ensure they have appropriate insurance and precautions in place. Subsea 7 S.A. this week announced that it has been awarded a contract by Tullow Ghana Limited on the Jubilee field, offshore Ghana, in water depths of up to 1000 metres. 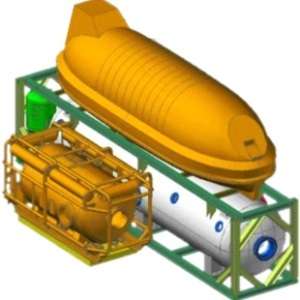 Unique Group, the integrated offshore solutions provider, recently delivered its twin lock Hyperbaric Reception Facility (HRF) to Oceaneering International Inc (Oceaneering). Headquartered in Houston USA, Texas, Oceaneering is a global provider of engineered services and products to the offshore energy industry, with a focus on deepwater applications. 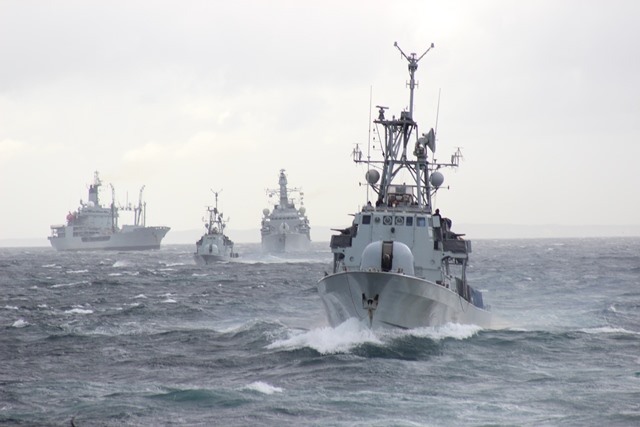 Through the use of its applied technology expertise, Oceaneering also serves the defence, entertainment, and aerospace industries. In a coincidental report, South Africa Veecraft Marine, a subsidiary of Paramount Maritime Holdings, and Unique Group have announced a strategic Agreement for the continued manufacture of the next-generation HYDRACraft 1400 Diving Daughtercraft. 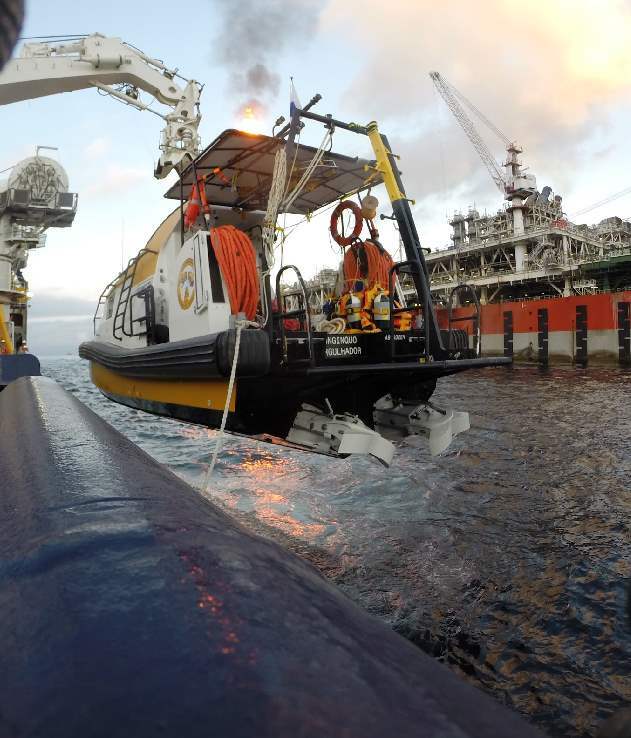 The maritime platform will be deployed by UniqueGroup customers with the primary purpose of supporting ongoing offshore oil and gas diving operations. 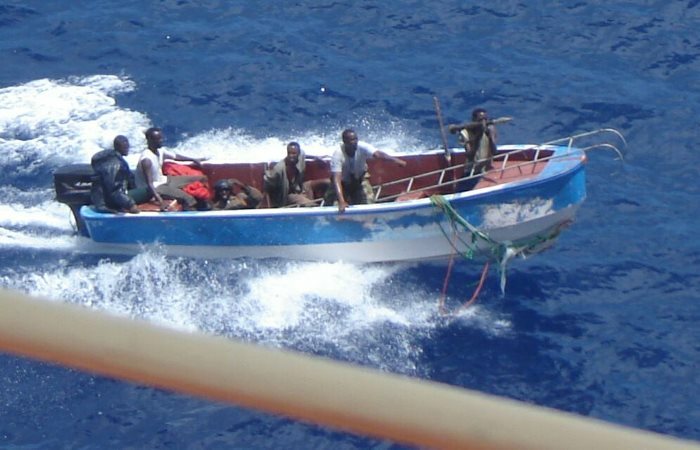 Further evidence of the continuing threat of piracy in the seas off the coast of Somalia came this week with an attack on a bulk carrier that was sailing East-South-East of Mogadishu. The ship, which has not been named, reported that four armed pirates in a fast skiff approached the bulker which was underway. The Master sounded the alarm and alerted local authorities, while the crew mustered in the ship’s citadel. Meanwhile the approaching pirates exchanged fire with armed guards on board the vessel before breaking off the contact and departing the scene. The ship reported that all crew are safe. This incident occurred on Tuesday 16 October 2018 at 12h38 UTC in position 00:49.0N – 050:53.0E, 341 nautical miles ESE of Mogadishu. In two reported incidents in the Gulf of Guinea, both occurring in the Lagos Secure Anchorage Area, several attempted robberies on stationery ships have been reported. On Sunday 14 October 2018 two robbers succeeded in boarding an anchored product tanker in the anchorage. The duty watchman noticed the robbers and raised the alarm as well as sounding the ship’s horn. As a result of this the robbers abandoned their plans and jumped overboard to make their escape. A search of the ship revealed that nothing had been stolen. Local authorities were alerted who sent a patrol boat to search the adjacent waters around the tanker, without success. In a second such incident also in the Lagos anchorage the duty AB on board another anchored products tanker noticed a speed boat alongside the anchor chain, with five men armed with guns and hooks who were attempting to board the tanker. The AB shouted at the would-be boarders and informed the bridge which sounded the alarm and activated the fire pump. On hearing the alarm the attackers abandoned their effort at boarding the vessel and moved away in their speed boat. Local authorities were notified who sent a patrol boat to search the nearby waters but nothing was found. On board the tanker a search was conducted but nothing appeared to have been stolen. This occurred on Wednesday 17 October 2018 at 00h45 UTC. 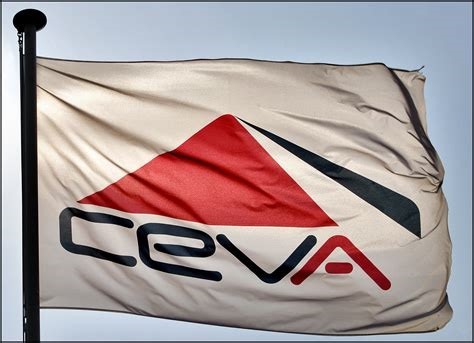 The Swiss-based logistics operator CEVA confirmed yesterday that French container group CMA CGM has increased its shareholding in CEVA giving it a 33 per cent stake in the company.